Lancashire event hire supply a wide range of chairs for every occasion. From folding chairs, plastic bistro chairs, gold ,silver Cheltenham chairs and the elegant lime-wash Chiavari from as little as £1.50 to £4.00 a chair. We have various styles and colours of chairs available for hire. 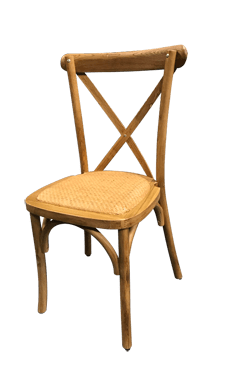 From the elegant Chiavari chair available in Lime wash, the Cheltenham chair, now available in Natural wood, Silver or Gold to the white folding Samsonite and plastic bistro/patio chairs. All of our hardwood chairs come with a seat cushion in a colour of your choice to suit your event. NEW Weathered Oak Crossback chair. The latest must have on the wedding scene!!! Mahogany Chiavari. This classic, elegant, lightweight chair is huge on the wedding scene.